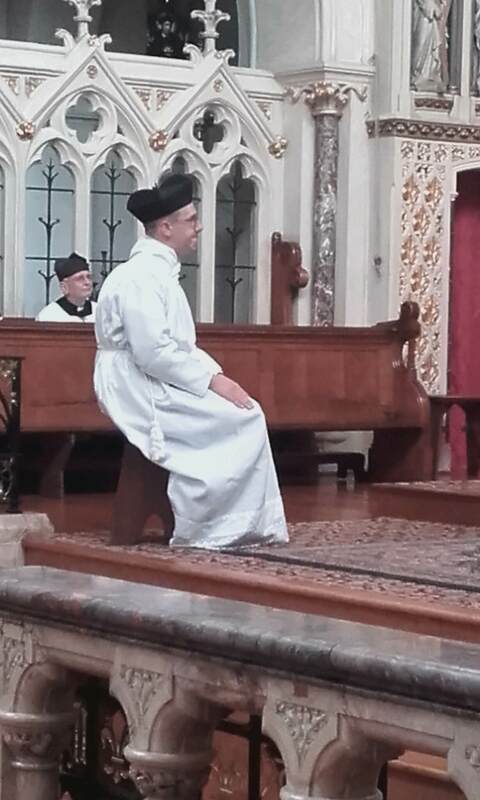 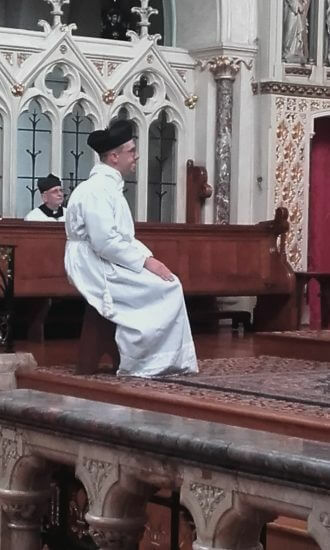 On Saturday 8th September, Our Lady's Birthday, Br Benedict was made an acolyte. 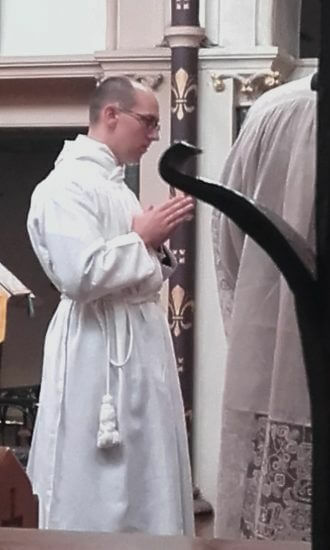 The acolyte is one of the two ministries which prepare a man for the sacrament of Holy Orders. 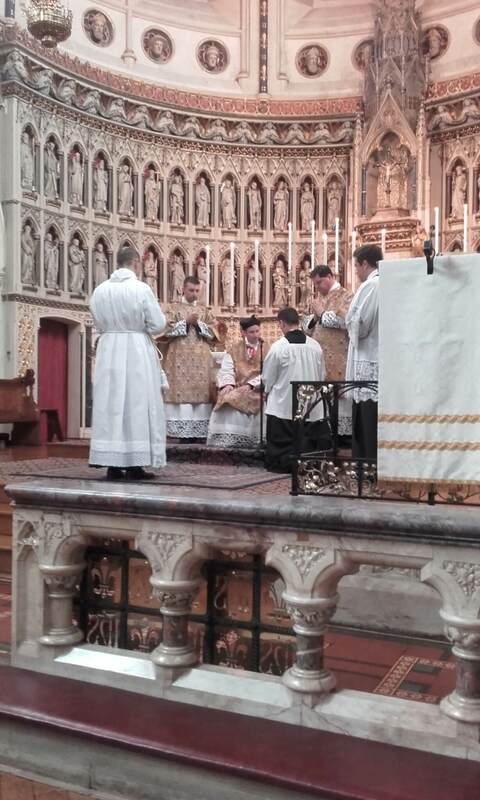 By it Br Benedict is given a special service of the altar. 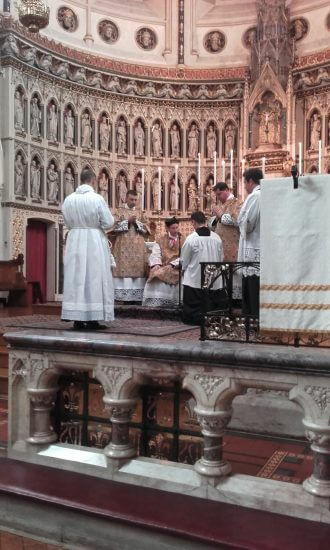 The new acolyte is given a ciborium containing the bread for the Eucharist as a sign of his service.